/About the Project /Who made Turn Off the Lights? Turn Off the Lights is made by Stefan Van Damme, known on the internet as “Stefan vd” is one Belgian lead developer. 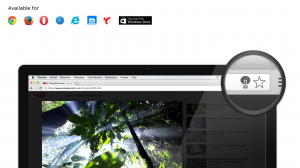 That created first this extension for the Google Chrome web browser on 15 december 2009. Later that next year it’s also available for the other web browser such as Safari, Opera, Firefox, Internet Explorer and Maxthon. Turn Off the Lights is also improved by few other developers. And on 23 September 2016 is the Turn Off the Lights available for the Microsoft Edge web browser. Stefan Van Damme is since 2010 also one of the only Belgium Top contributor of Google and mentor in the Google Chrome Help forum. Turn Off the Lights browser extension is designed for users who want protect his eyes late at night and also to keep the focus on that video player. Is build for all users and also K6 and K12 students. It is simple, and easy to customize to your personal touch. And this browser extension is available on all the major platforms. Such as Google Chrome, Firefox, Opera, Safari, Maxthon and Microsoft Edge. You can also feedback us by using the support form, that you can find on this support page. We take all the feedback very seriously. Because it is the feedback from you that make this browser extension so amazing on the web.